Reviewing calls is less about volume and more about filtering and focusing on the calls that are most important. That’s what makes a difference in the customer's experience with a dealership. We know right away which calls are important to listen to because of our advanced machine-listening and its impressive ninety-five percent accuracy. This performance rate is thanks to such a high amount of collected call data. Inbound calls that go through our machines and algorithms sort them based on whether they have an opportunity or not. When the calls are sent to our human transcribers and deemed to be an opportunity, they listen to the call in its entirety and write a summary. Then, we determine if the call needs to be sent for further action via interactive text alerts and/or email alerts. That action is based on the essence of the call; for example when a customer calls about availability but doesn't set an appointment, when a customer is left on hold and hangs up, when a call disconnects, or when the requested employee is not available. These alerts arrive in less than an hour, twenty-eight minutes on average after the call ends. The dealership can deem who they want their first-responders to be to handle these alert notifications. They can call the customer back and save the deal before the customer moves onto the competition. Dealers don't have to listen to the calls to find these missed opportunities; we do it for them. The call data has also shown us that trends have changed in the past couple of years. 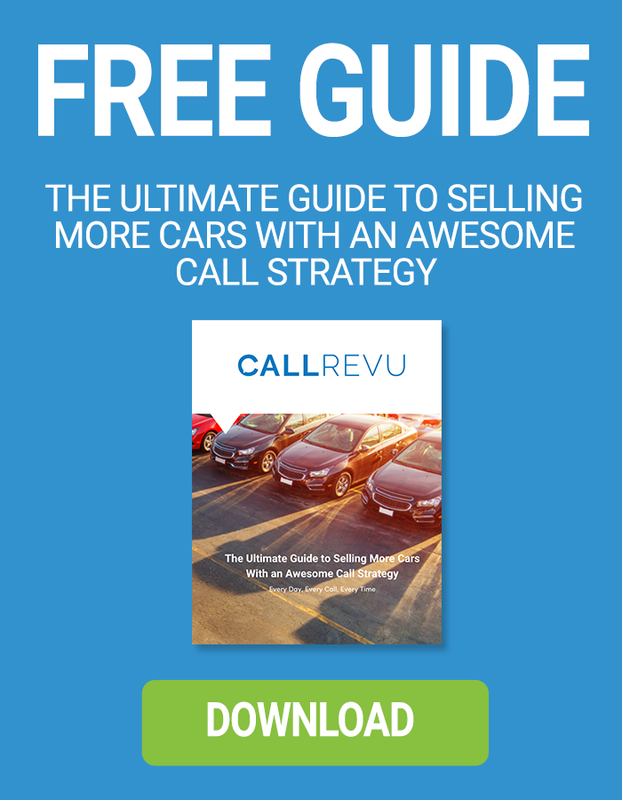 There are a lot fewer calls about price and more calls that are specific to availability. Customers have so much information at their disposal now, and there are so many ways that they can find information that they seek about any one particular vehicle. They can make their comparison and now when they call, they want to know if you have the vehicle in stock. Callers may also ask a specific question about a car but have typically researched on their own already. Gartner predicts that by 2020, eighty-five percent of our interactions with businesses will occur without actually speaking to a human. This doesn't mean that all of our customer service and sales representatives will pack up their bags and go home, but it does say that phone skills for your dealerships are more critical than ever. It may sound counter-intuitive to the prediction, but it’s because when a customer is explicitly calling to talk to a human with a specific question they haven’t found the answer to, they want to have a beneficial interaction with that human. It’s evident that when there's a successful call, there are best practices at work. When you follow the best practices, it’s clear that those phone calls generally turn into appointments. We also know those phone calls result in high customer-sentiment. Even though we have machines that detect emotions, when it comes to the calls that we use for best-practice reviews, we always have a human validate the facts. On some of those phone calls, maybe an appointment wasn't the next logical next step or a logical outcome of that phone call; perhaps the customer only had a question, or maybe it was something that was service related. Whatever the case might be, we still know that customer sentiment is positive, the caller had a great experience. A great experience doesn't always mean an appointment, but it certainly does say that a caller is likely to call back or remain loyal to your dealership.